Running through the town of Vail, Gore Creek is a small freestone trout stream whose lower section has earned the Gold Medal distinction. The lower section begins at Red Sandstone Creek and continues into the Eagle River. It can fish extremely well and is easily accessed by foot. Gore Creek is such a wonderful fishery, and for those select few who have dedicated some serious time to this water know what i am talking about. This past week it has been my 30 minute hole in the afternoons and the dry fly fishing is nothing short of topnotch. Dry dropper or mini rig is also very effective throughout the day,call the shop if your not familiar, if your wanting to nymph,focus on any bridge crossing the river; there tend to be deep holes and channels there. Please keep in mind that the fish are spawning so stay off the redds (spawn beds). This goes for all watersheds in the state, Keep your eyes peeled. Prime dry fly time is between 11:00-2:00, and 5:00-7:00. The Upper sections of the Gore are still a little cold in my opinion, however fellow anglers have been putting a hurt to them on deep nymph rigs. 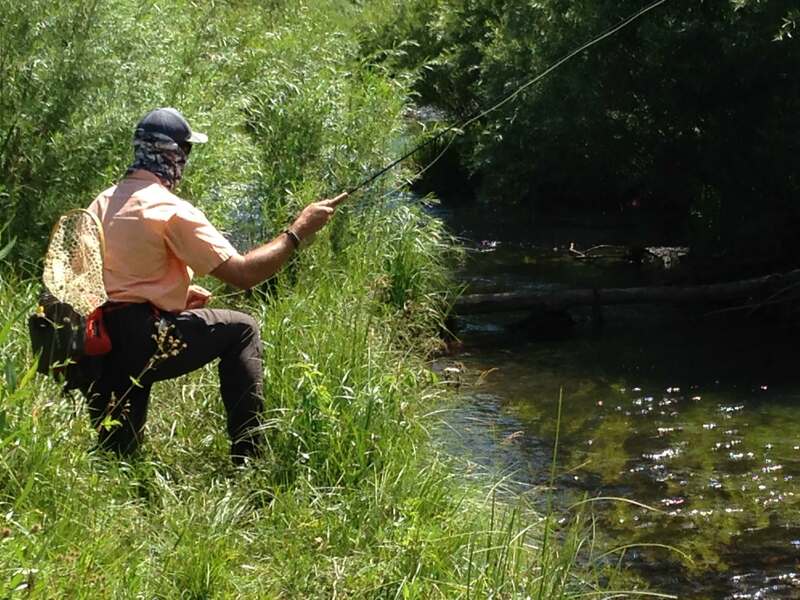 Want to Fish With us on Gore Creek?